Properties for sale in Brittany, France - AHIB-3-M2230-291499 Nr Plounévézel 29270 Very cute rural cottage, the perfect holiday home, sold furnished! 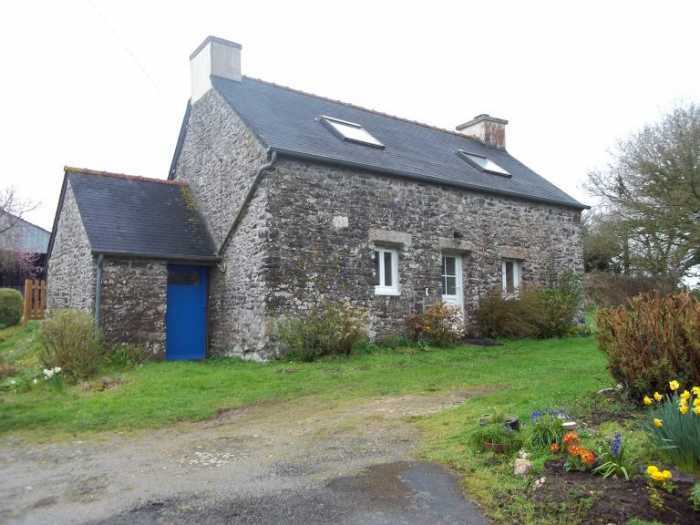 Located in a little hamlet, not close to the road, this pretty cottage is ready to move in, nothing to do, it is in very good condition. It has been upgraded and nicely modernized keeping the charm of the place. On the ground floor is the main room, spacious enough for a lounge/dining around the central fireplace with a wood burner, beams, high ceiling, this it is a bright room. A separate kitchen, perfect for a holiday home, totally functional and with enough storage units. Also, a good-sized bathroom with bathtub and WC. On the first floor there are two extra large double bedrooms with velux windows, good enough for a family, and a storage space on the landing. This is a comfortable cottage, very pleasant and easy to maintain. Double glazed windows, electricity under the norms, and efficient electric radiators. The property is sold furnished. Attached to the cottage is a convenient shed for storage. Nice patch of grass around and easy to maintain. This is an attractive property; a very good deal, don't miss it!